It’s all go at the Railway, getting ready for the opening of the 2019 season on the 23rd & 24th March. We have lots of exciting things happening throughout this year, including a new Mother’s Weekend Event! 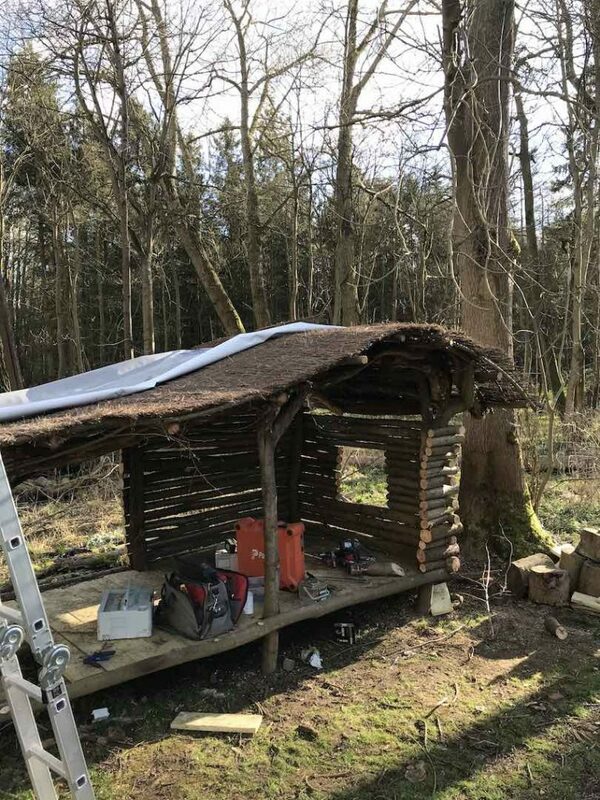 Our staff members have been busy getting ready for the season, including creating a new Teddy Bear Shelter and starting to decorating the other existing ones. The Shelters around the track are decorated throughout the year, in keeping with the season/event. They also house our very special Teddy Bears. This new Shelter has been designed so the Teddy Bears are raised off the floor, and are protected from the rain and wind, it’s a luxury life they live! 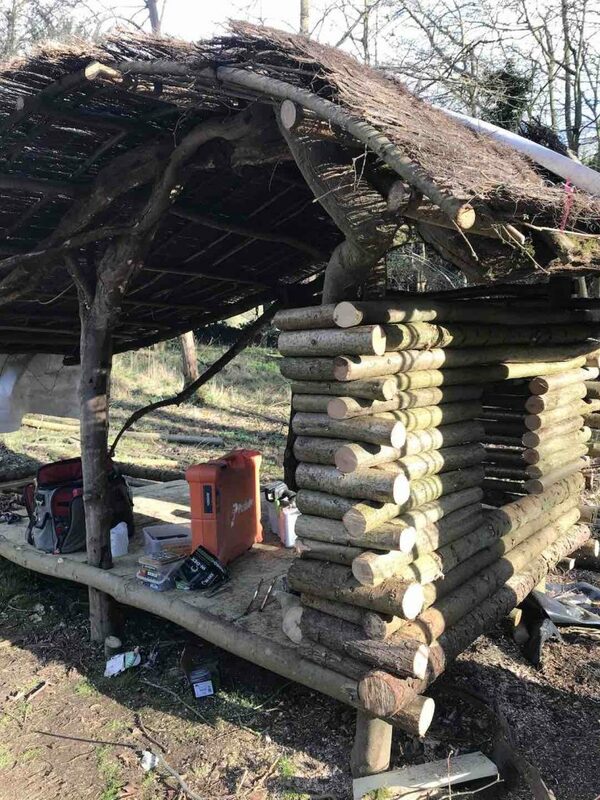 The Shelters are made from recycled materials from the woods, creating a rustic feel. 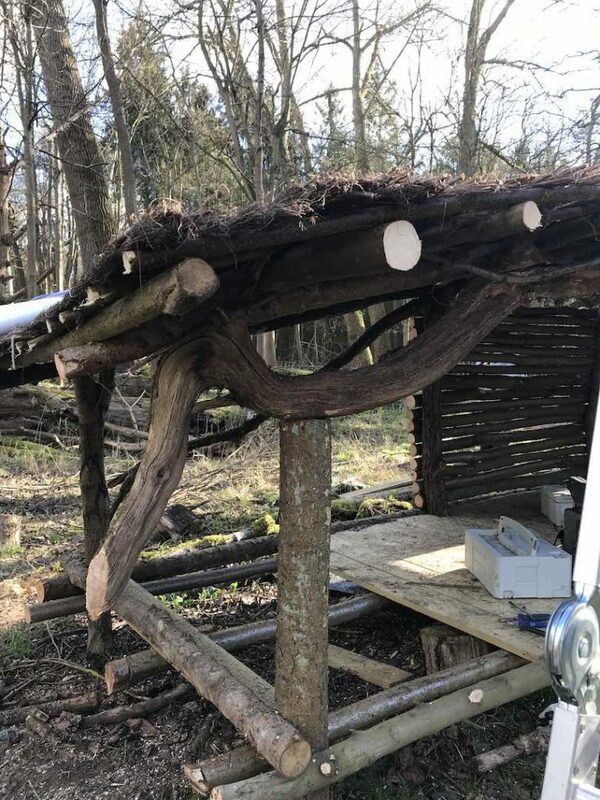 Magic and his team who have built this Shelter try to source curved pieces of wood to create the different shapes within the shelters. 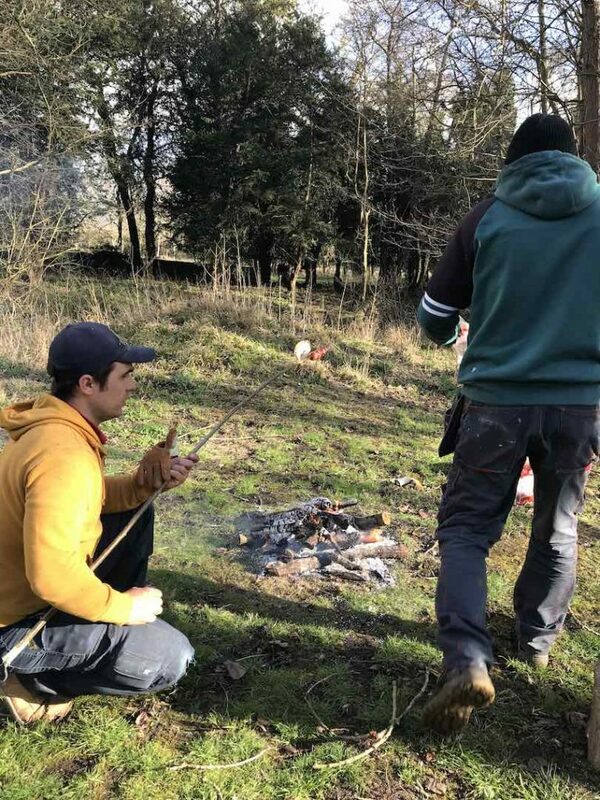 They even use twigs from the woods to cook their sausages at lunch time! You can see here how the curved pieces of wood are used to create the sides and roof. 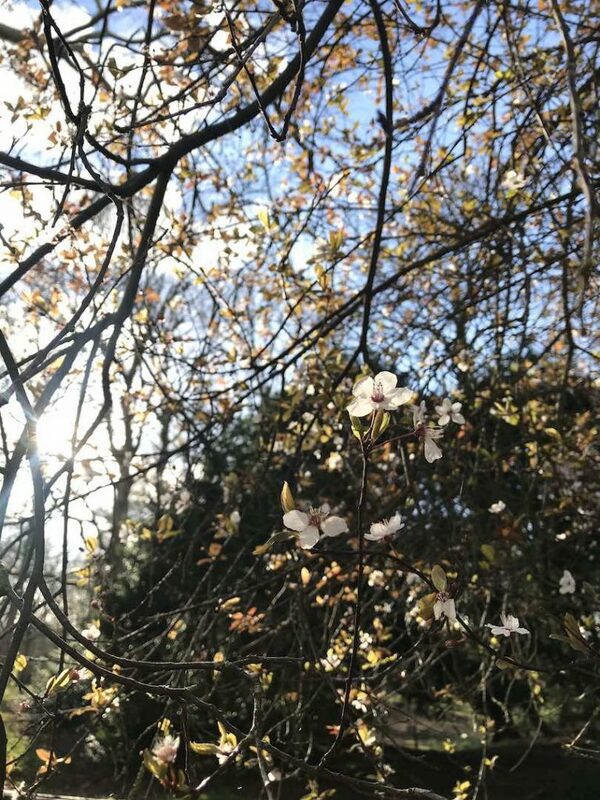 Spring is also well on it’s way to the Railway, the blossom has just started to bloom and Daffodils are in full beauty. The existing Shelters are also getting their Spring make over and are now adorned with flowers and ivy, all that’s left to add are the Teddy Bears! Talking of Teddy Bears, why not join us for our opening weekend on the 23rd & 24th March or the 27th & 28th April for our Donate a Bear Days. 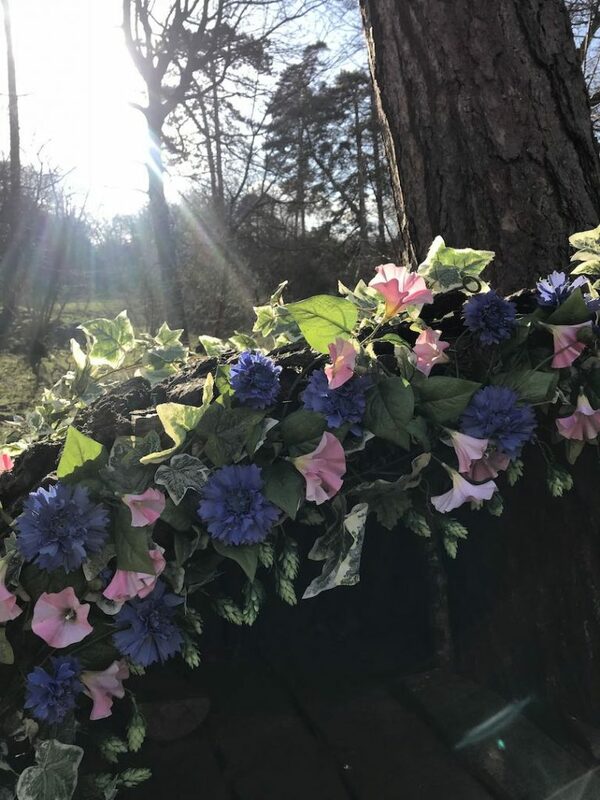 Does your child have a large teddy bear that would like to come and live in our enchanted Audley End Woods with our beloved family of furry friends? Any child with a soft toy over 60cm in height will be able to take a FREE miniature train ride deep into our ancient woods to meet our very own head teddy bear Robin, at his grand stand clearing. Robin loves this time of year as he gets to meet so many new furry friends to welcome into the woods. He promises to take very good care of each donated teddy and will ensure they are placed in a special spot so you can see your cuddly toy every time you visit us. Book Now!